The land is an important theme in the Bible through which the whole biblical history in the Old and New Testaments can be studied and analyzed. Looking at the land in the Bible right from its beginnings in the garden of Eden this book approaches the theme from three distinct perspectives - holiness, the convenant, and the kingdom. Through careful analysis the author recognizes that the land has been universalized in Christ, as anticipated in the Old Testament, and as a result promotes a missional theology of the land that underlines the social and territorial dimensions of redemption. 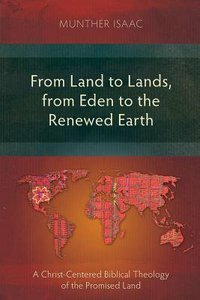 About "From Land to Lands, From Eden to the Renewed Earth: A Christ-Centred Biblical Theology of the Promised Land"